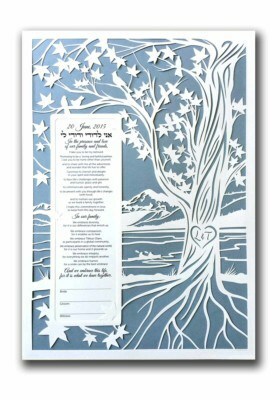 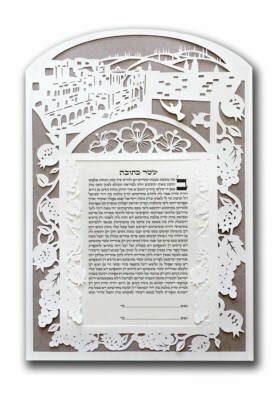 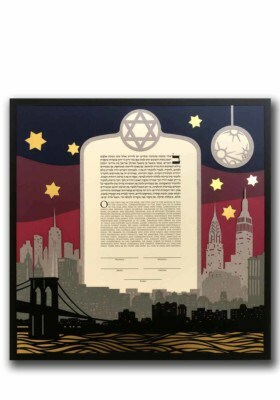 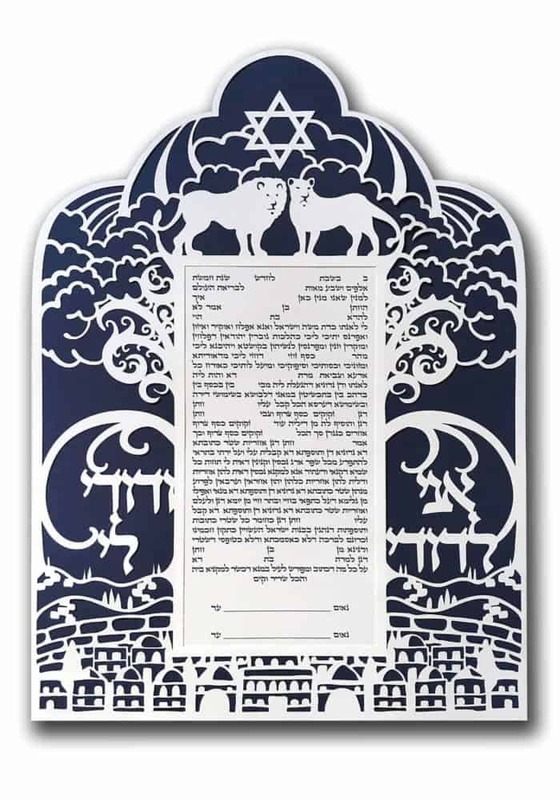 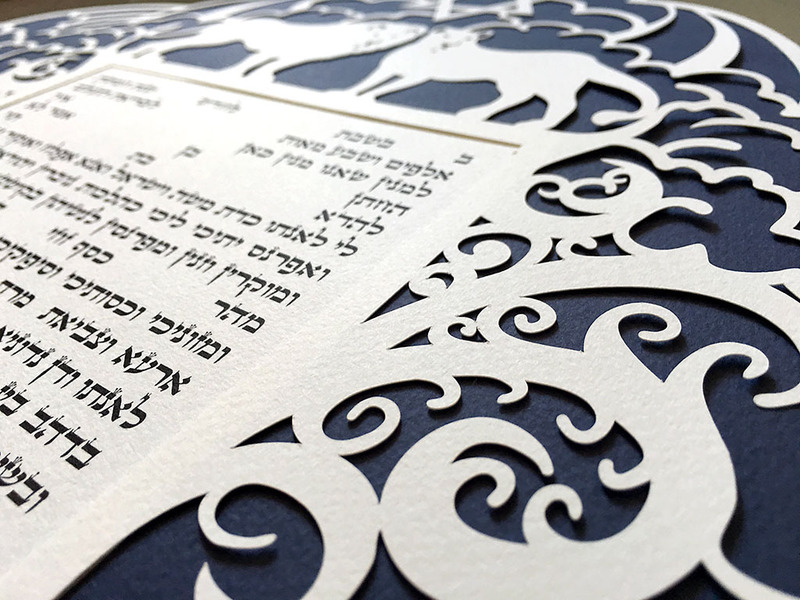 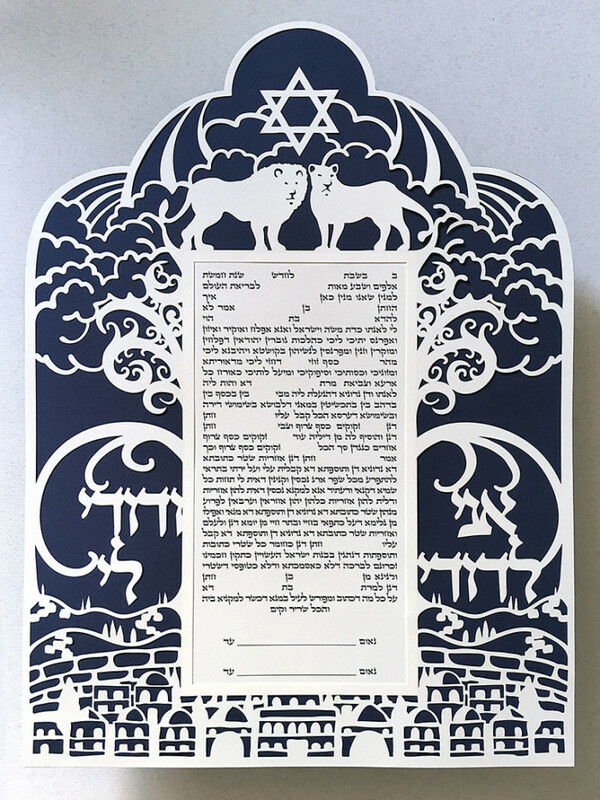 A lovely papercut ketubah featuring Jerusalem and the lions of Judah. 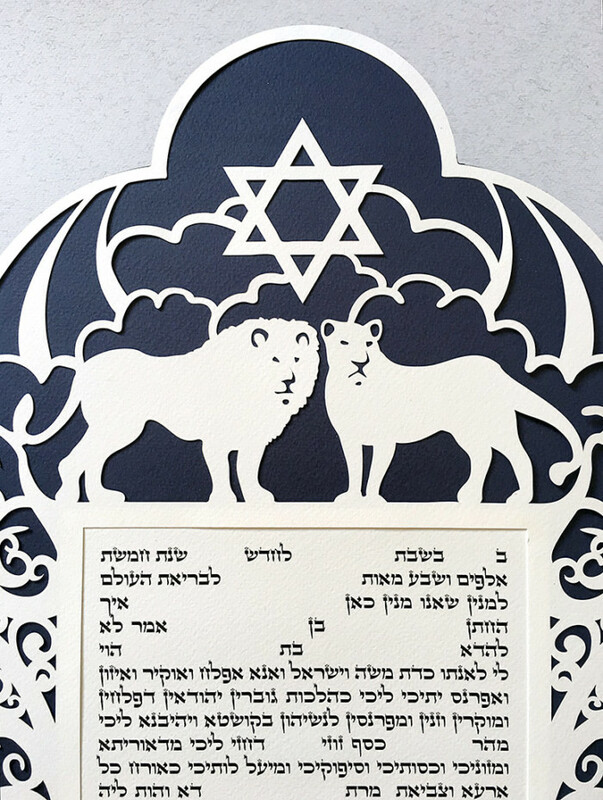 In Jewish tradition, the lion is the symbol of the tribe of Judah, the progenitor of King David. Lions are also the symbol of Jerusalem, from when it was the capital city of the Kingdom of Judah. 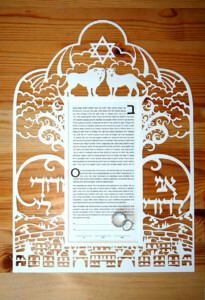 Along the sides are the Hebrew words, “Ani L’Dodi V’Dodi Li,” which mean, “I am my beloved’s and my beloved is mine”. 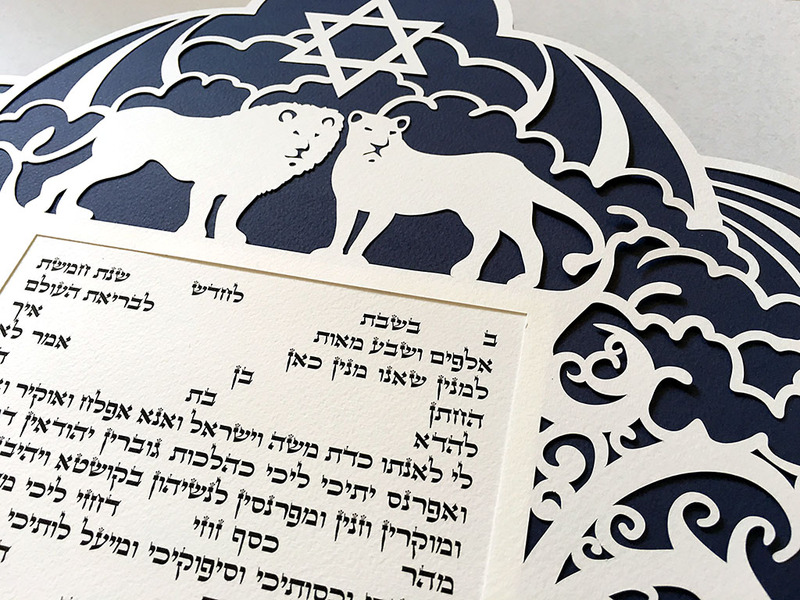 This is a clean and modern design, yet steeped in symbolism and tradition, making it truly timeless.